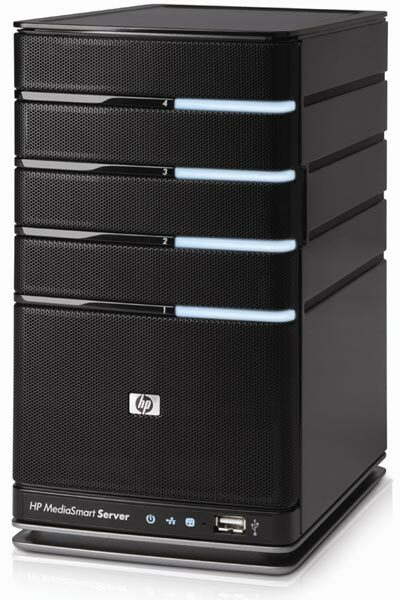 HP has launched two new home servers, designed to be used with either your PC or Mac, the HP MediaSmart ex485 and ex487. These new servers are designed to store all your media files, and backup all your PCs or Mac’s data around the home. Both of these new home servers come with an Intel Celeron 2.0 GHz 64-bit processor, 2GB of RAM and up to 9 TB (terabytes) of storage. The HP MediaSmart ex485 comes with a 750GB hard drive as standard and will retail for $599, whilst the HP MediaSmart ex487 comes with a 1.5TB hard drive and will retail for $749. These new HP MediaSmart home servers run Microsoft Windows Home Server, and they will be available to pre-order from the 5th of January with an expected shipment date of February.